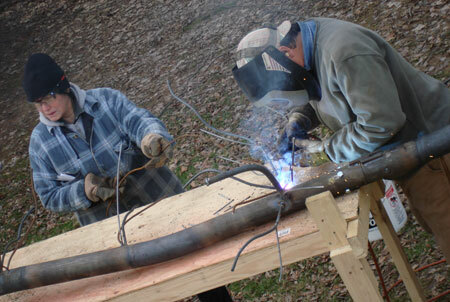 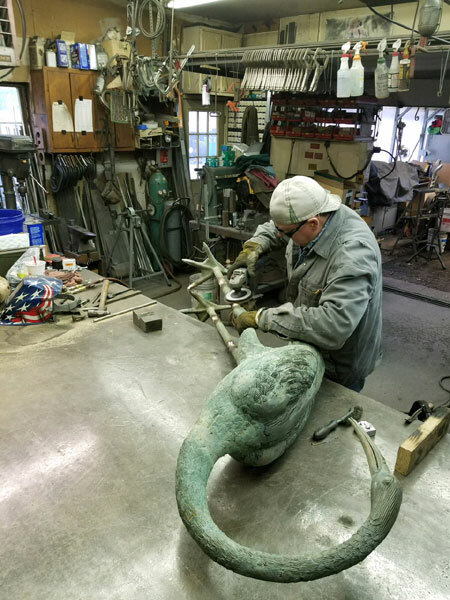 Metal Specialties has many years of experience working with locally, nationally and Internationally recognized Artisans, Sculptors and Artists to help them realize their creative endeavors and artistic projects in a timely and reliable way. 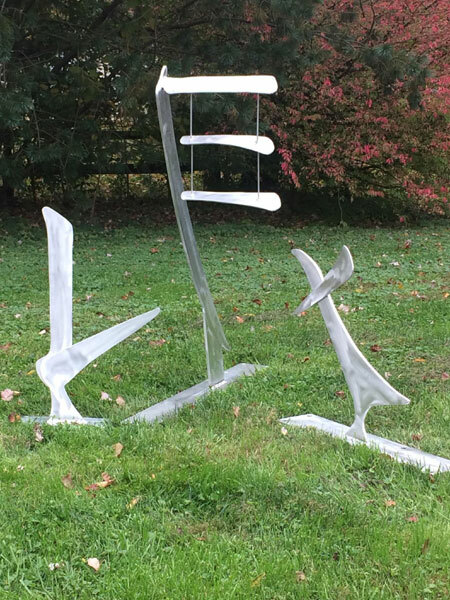 Mark Bailey is highly sought after by the Greater Metropolitan Washington D.C. artisan community to create custom metalwork's for their spectacular and unique projects. 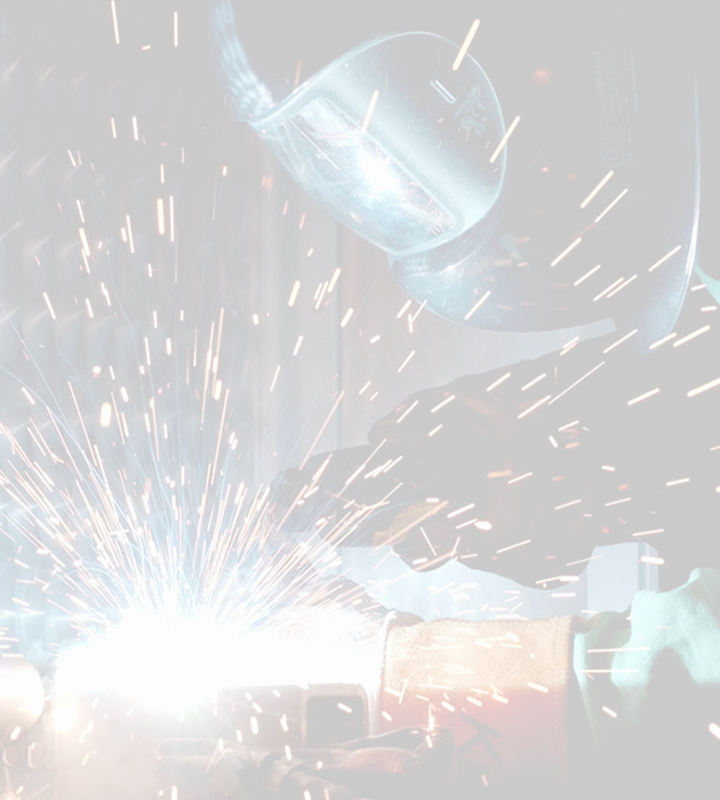 Mark is a seasoned professional who understands that creative minds and technical objectives do not always meld easily. 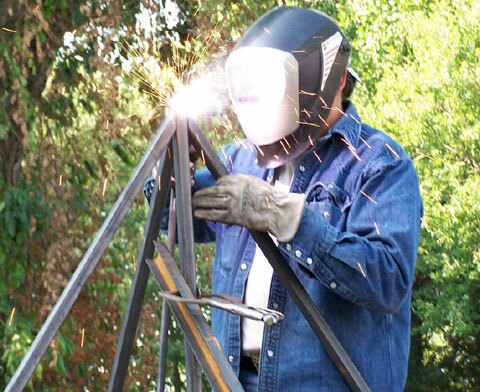 Mark instinctively navigates between the dreams of the artisan as he keeps a steady vision of the final product that will become their one of a kind artwork. 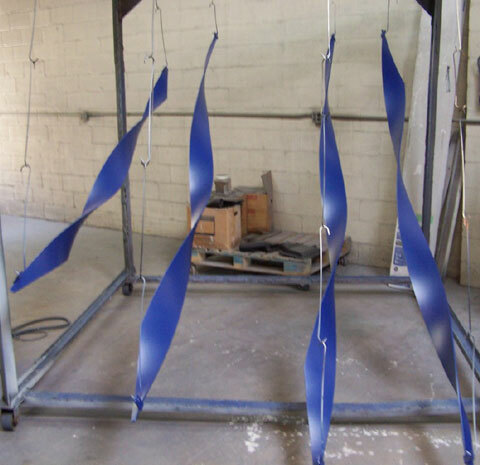 The team at Metal Specialties allows the artists, sculptors and artisans to be creative as they work together to bring a vision into reality. 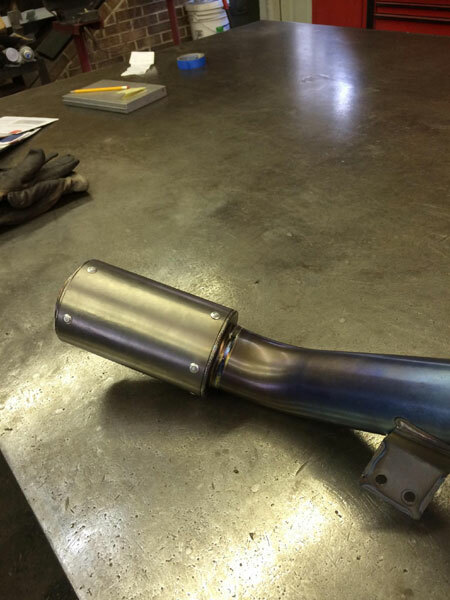 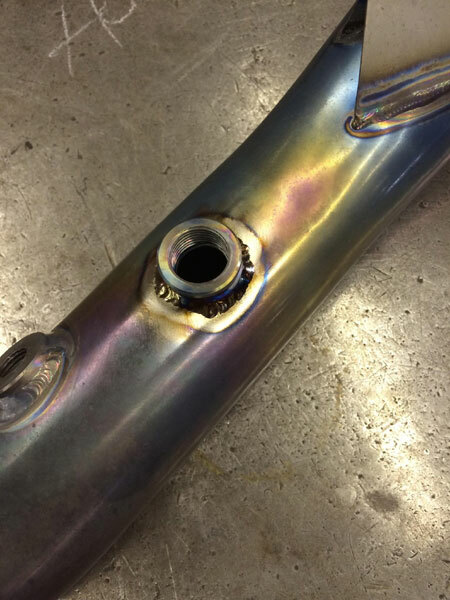 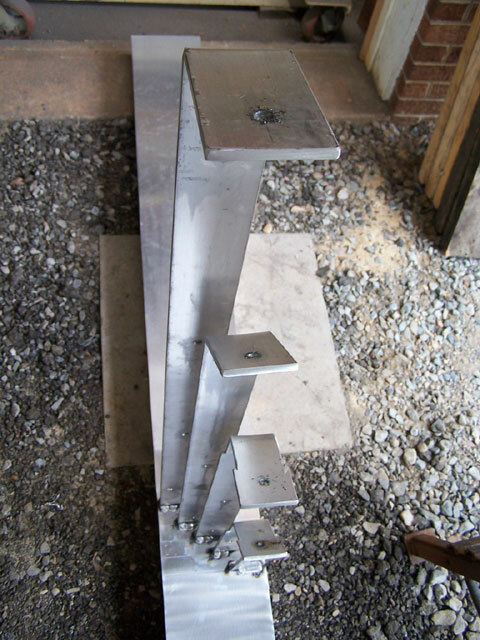 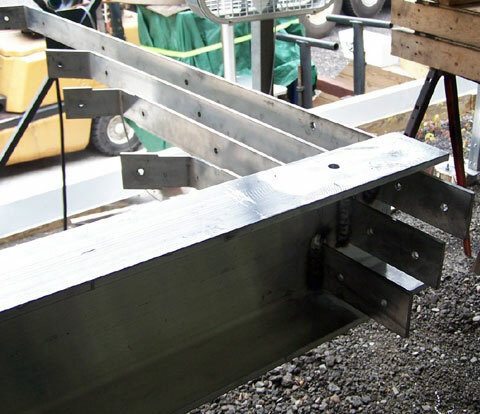 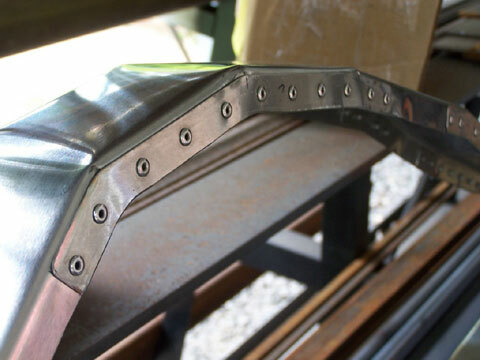 Metal Specialties can design, create and manage full projects from start to finish or we can fabricate and provide sub-components, specified by you, to be integrated into your larger effort. 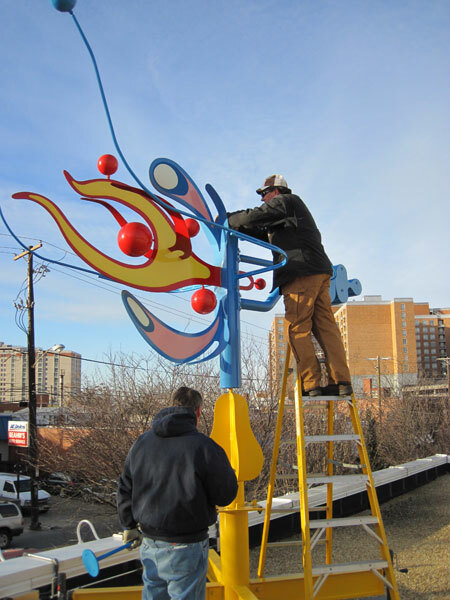 This project is Seismic Dream and was created by the extraordinarily talented and nationally famous Sculptor and Artist Pattie Porter Firestone. 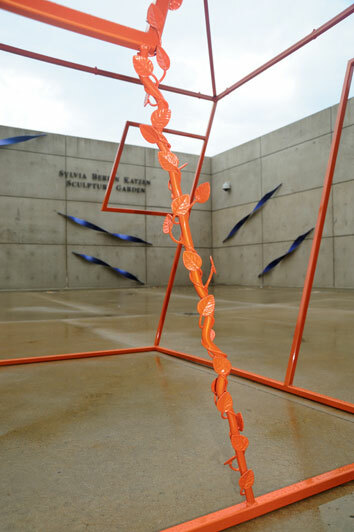 "Seismic Dream combines original sculpture, music scores and poetry into a 'dreamscape' experience, conveying a wavelike energy..." "...Using the medium of twisted steel moving in and out of the walls, these waves pull the viewer into the symbolic space of abstract and childhood images..."
Seismic Dream will be on display at the Katzen Arts Center from Sept. 3 - Dec. 14, 2011 on the campus of American University. 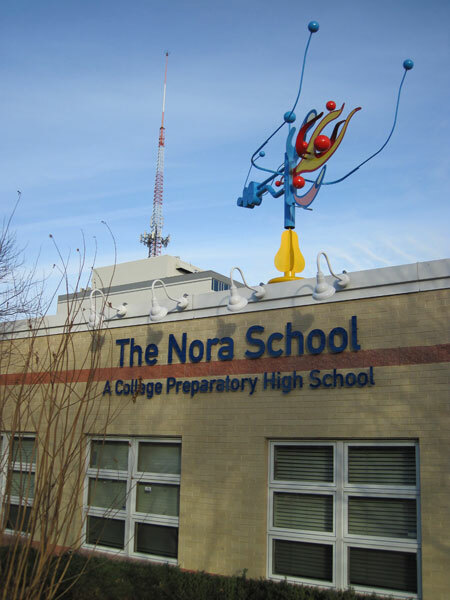 4400 Massachusetts Ave. NW, Washington, D.C. 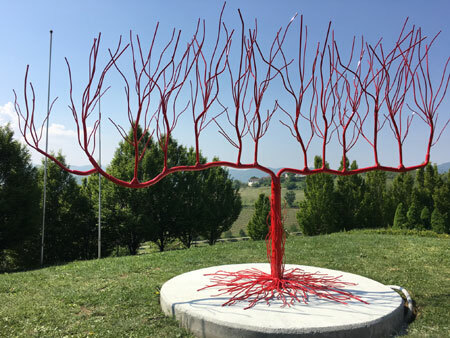 Learn more about the artist and Seismic Dream, along with many of her other breathtaking sculptures in wood, metal and stone, on Pattie's web site, PattiePorterFirestone.com. 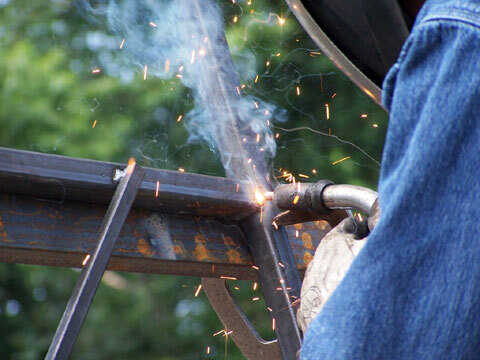 Pattie's large scale, multi-venue, custom metal fabrication utilized stainless steel, aluminum, carbon steel, mig, tig, plasma cutting, good old fashioned stick welding, powder coating, custom crates and packaging and is nothing short of magnificent. 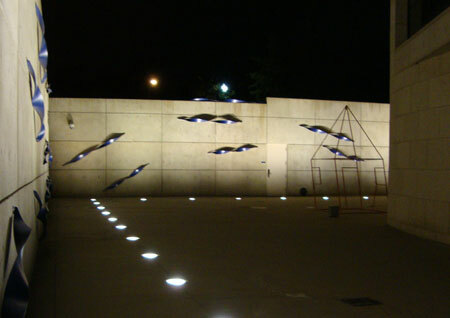 Boat Fabrication Stage - Seismic Dream, Katzen Arts Center, Washington D.C. 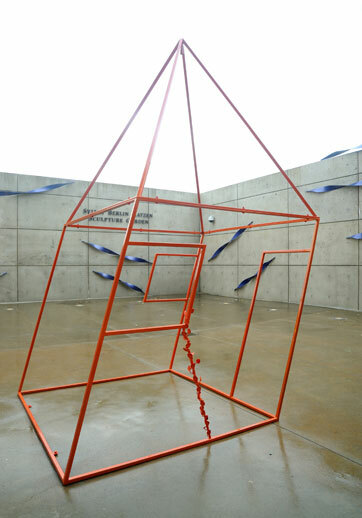 Fabrication Stage - Seismic Dream, Katzen Arts Center, Wash. D.C.
House Fabrication Stage - Seismic Dream, Katzen Arts Center, Wash. D.C. 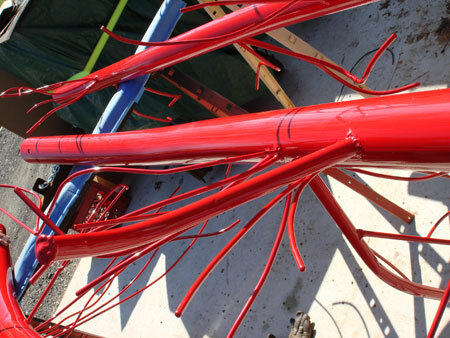 Custom Crate Fabrication - Seismic Dream, Katzen Arts Center, Washington D.C.
Powder Coat Application for Seismic Dream, Katzen Arts Center, Washington D.C.
Seismic Dream, Katzen Arts Center, Washington D.C. 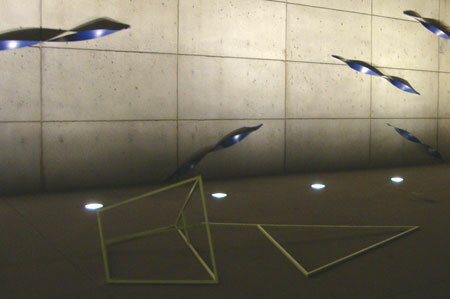 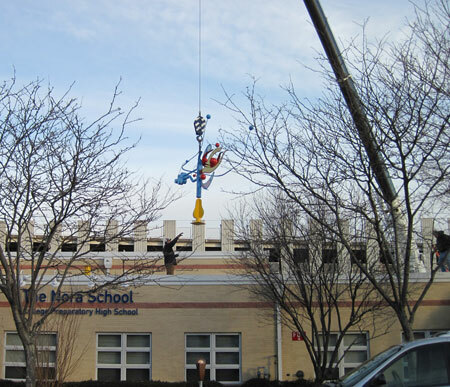 Installed at the Katzen Arts Center, Washington D.C. 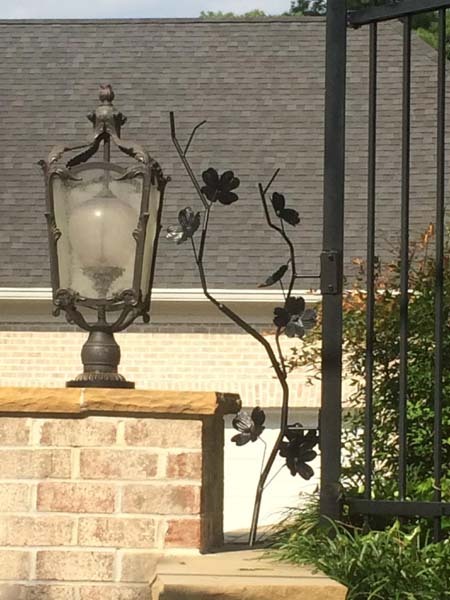 In August of 2014 Mark was asked to create some botanical accents for a private residence in Potomac Maryland. 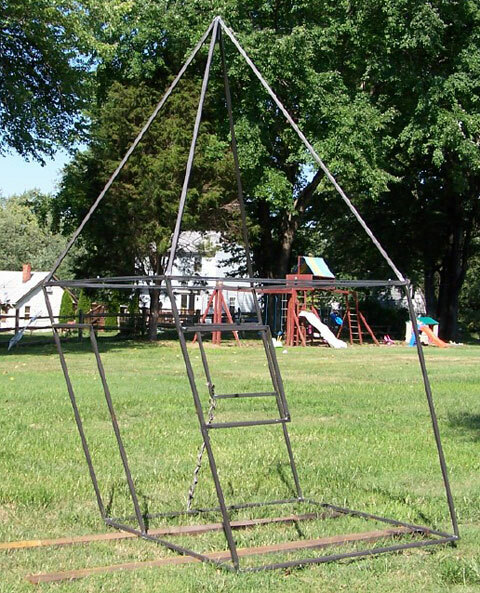 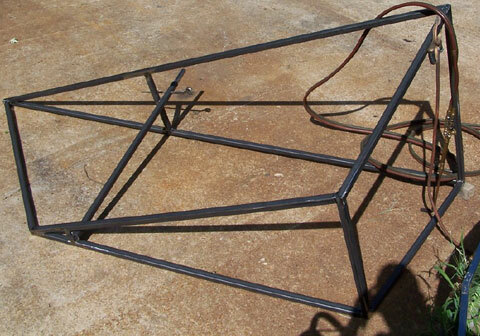 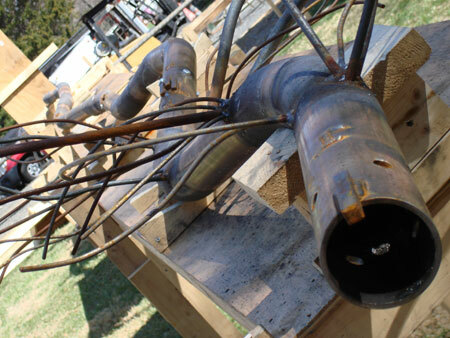 This is one example used in conjunction with other custom ironworks. 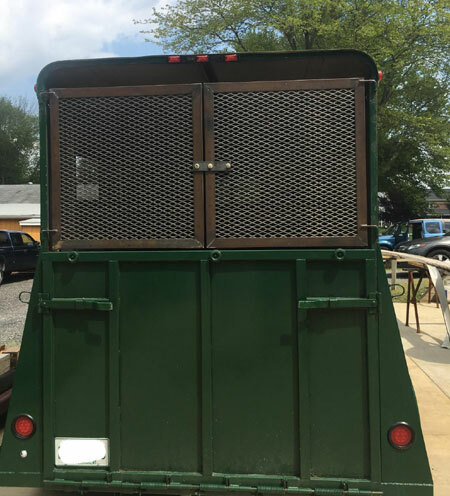 Mark Bailey of Metal Specialties in Spencerville, Md. 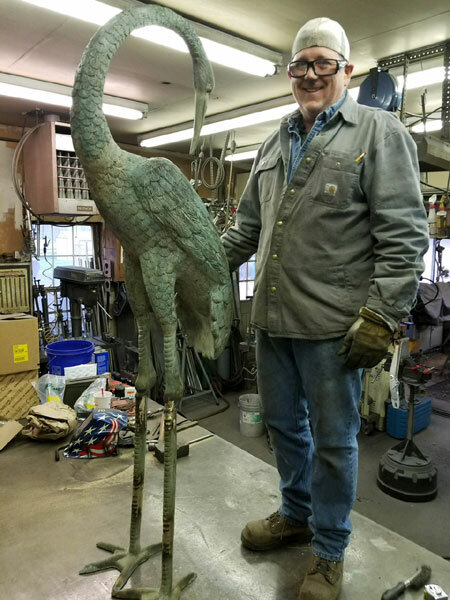 has done a wonderful job of fabricating the sculpture and making it in various pieces so that it could be easily transported, assembled, and lifted by crane. 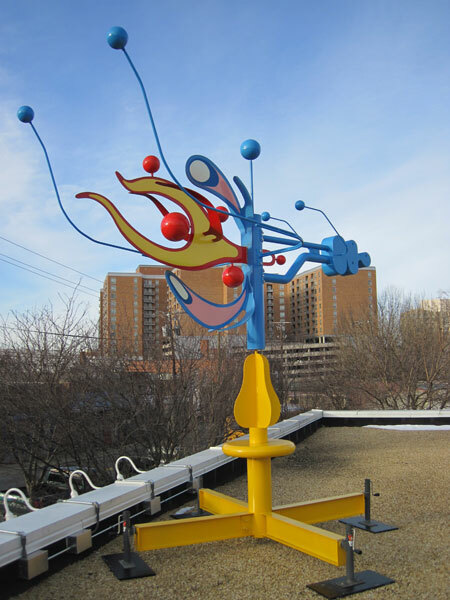 The finish, (paint), of the sculpture is “powder coating”, an industrial process where the color is baked on. 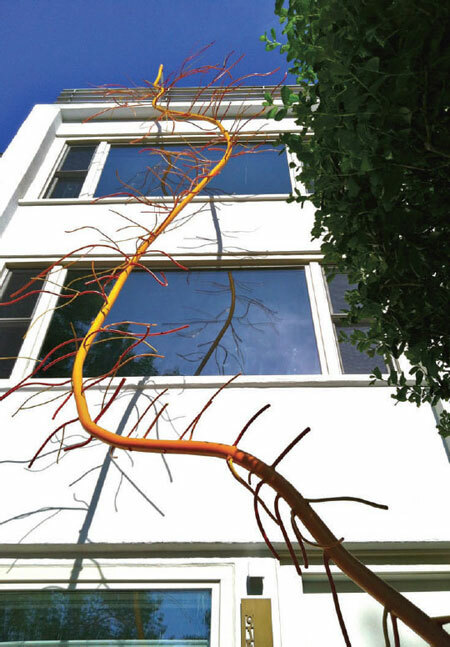 1529 16th Street NW, Washington D.C.
Dalya Luttwak’s “Alfalfa Root at 4.5 Months Old.” In front of a minimalist white contemporary home with big picture windows, Luttwak’s yellow metal sculpture resembles a Jack-and-the-Beanstalk-scale vine, originating in a planter next to the driveway and scaling the front of the three-story structure in Washington, D.C.'s Foggy Bottom neighborhood. 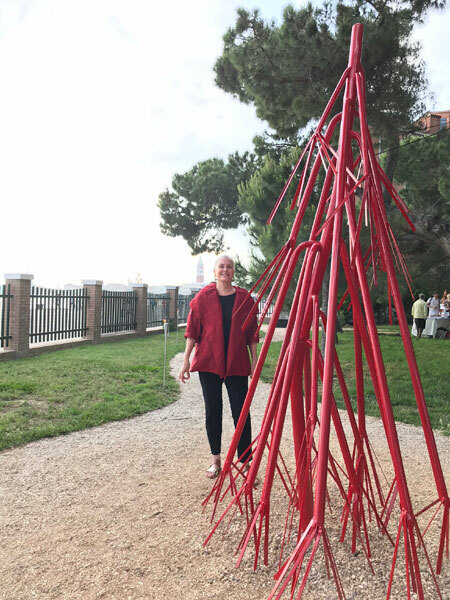 One is by locally and Internationally famous Artisan Dalya Luttwak. 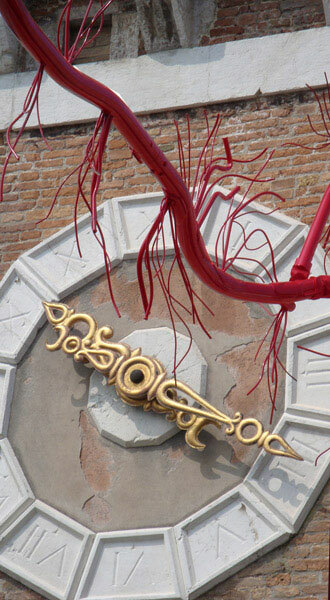 Dalya's "Tribute to Venice" in Arsenale, Venice, Italy is a phenomenon from concept to integration. 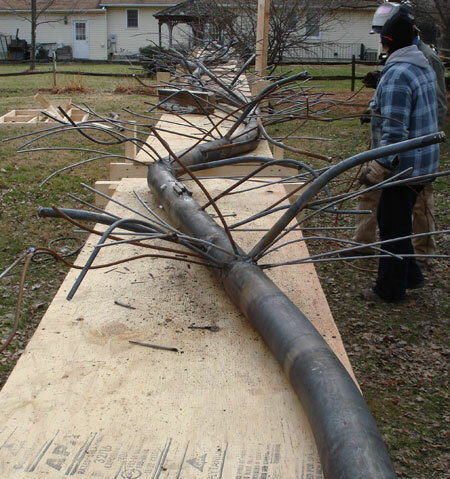 Just the logistics of fabricating this enormous 200+ feet steel "root" and getting the parts to Italy are almost unfathomable. 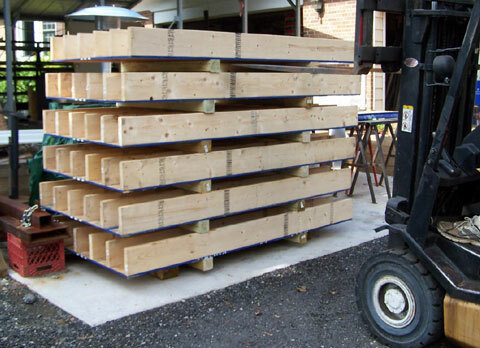 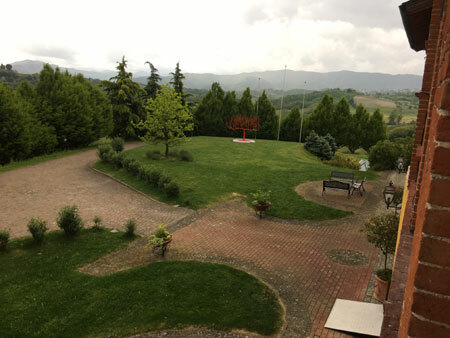 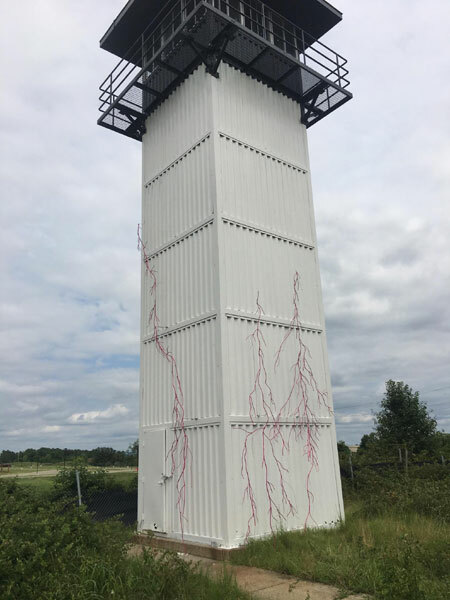 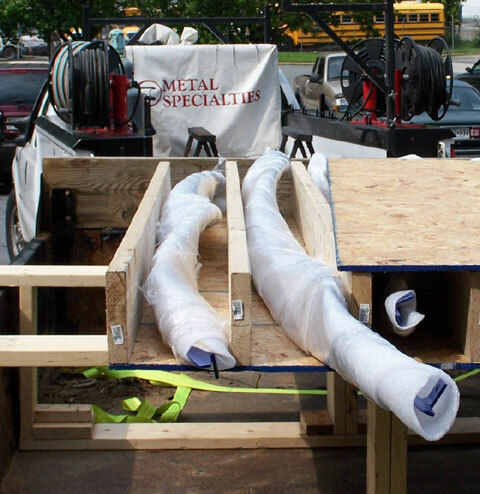 Metal Specialties brought the artist's concept to life by pre-engineering the design into manageable lengths for shipment overseas and a fast and easy, over water installation onsite in Italy. 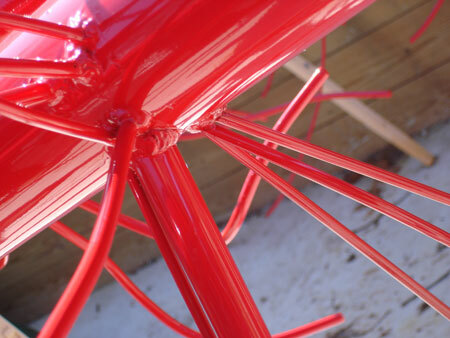 Sculpture lengths were given a durable Class A powder coat finish in a dynamic high gloss red color. 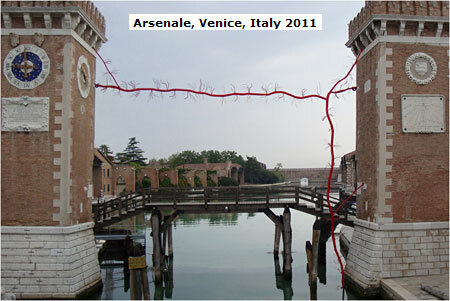 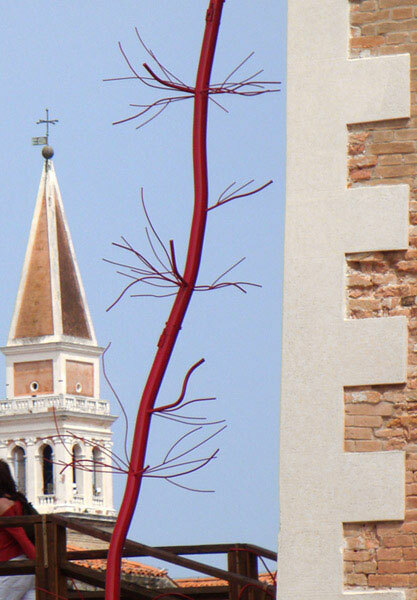 "...WHAT IF ROOTS COULD GROW IN THE WATERS OF THE ARSENALE?...." 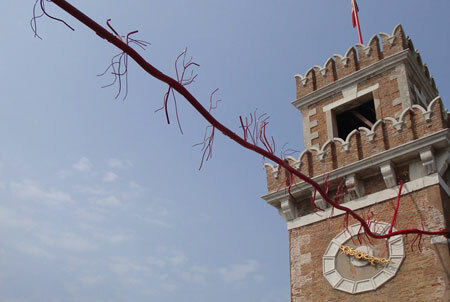 On the occasion of the 54th International Art Exhibition of the Venice Biennale, June 1 - November 27, 2011, as a tribute to the city of Venice, the Italian Navy is displaying "...WHAT IF ROOTS COULD GROW IN THE WATERS OF THE ARSENALE?... 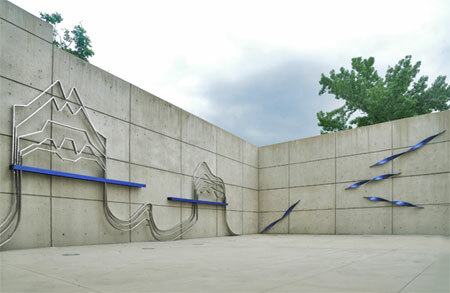 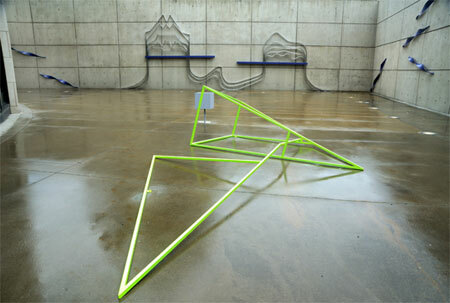 ", an installation by the American sculptor, Dalya Yaari Luttwak. 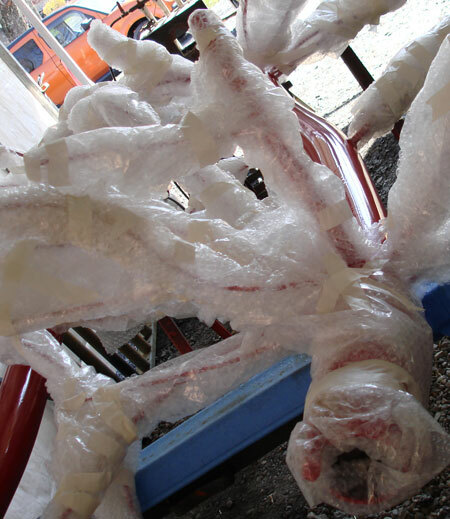 Dalya's project utilized carbon steel, mig, tig, plasma cutting, stick welding, powder coating and custom delicate items packaging for international shipment. 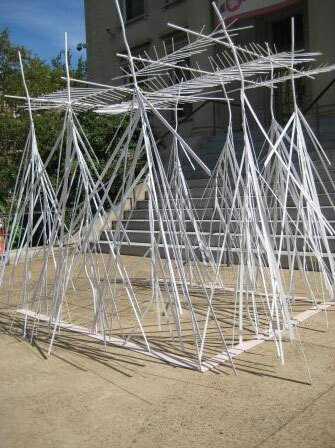 Visit Dalya's web site for more details, lots more information and all the press releases on this and her many other fabulous creations at DalyaLuttwak.com.